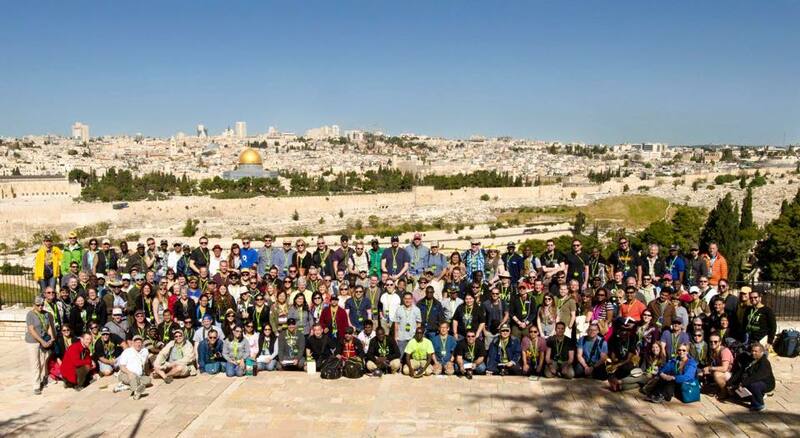 If you are a close friend or colleague, you know that I just returned from Israel a few weeks ago. Being invited to attend the GYI Summit was an amazing privilege. So much so that I kept the invitation pretty quiet until just a few weeks before we were scheduled to leave. What made this trip so special was so much more than the fact that I was going to walk where Jesus walked (although that is amazing!). It was the fact that this phenomenal gathering was bringing together up to 200 ministry leaders from over 50 countries around the world – all of whom are focused on mobilizing youth to make disciples who make disciples. Any nerves I had about traveling to the middle east quickly subsided as I met one brother or sister after another. I can honestly say that I have never in my life felt more welcomed or more loved. I did know a few folks… my friends from Dare 2 Share training partner, Sonlife, who were responsible for extending the invite to me in the first place. However, the overwhelming love from others from different cultures and ministries made such a strong early impression on me. It was a clear indicator that I was about to forge friendships for life in just a few short days. I wish I could unpack every story exchanged, every smile shared, and every special conversation for you. But even if I did, I doubt you would be able to really grasp the sense of Holy Spirit fellowship that was taking place. Within less than 48 hours after I arrived, I was sending up a prayer of gratefulness to God for allowing me to experience His Church in this way, and in THIS place! I continue to reflect on those conversations and have loved keeping in touch with my new friends. God is also paving the way for some significant Kingdom-advancing opportunities for us to work together to mobilize teenagers to make disciples. Your prayers toward that end would be very much appreciated. P.S. A special thank you to all of the staff who worked so hard to pull this event together. May God bless them immensely for their vision to see a global movement among teens accelerated.